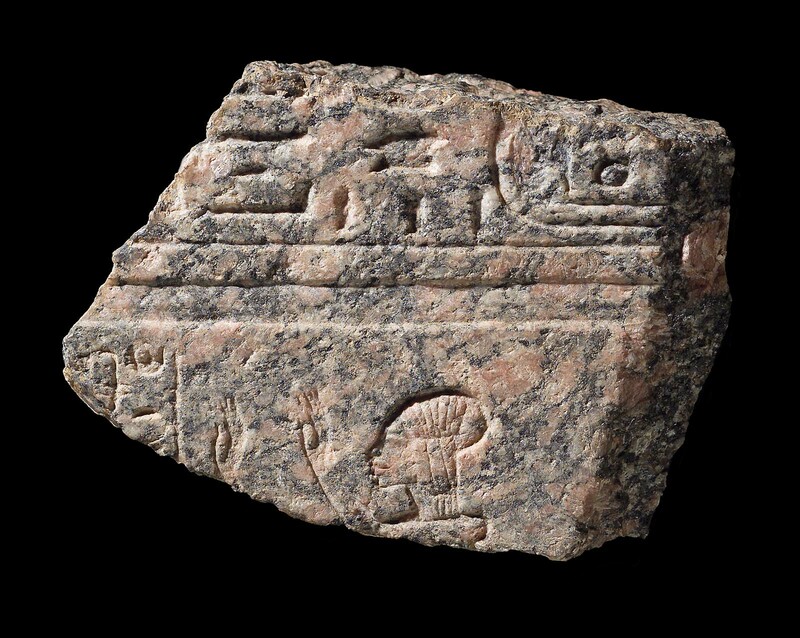 Red granite fragment. At the top is part of a sunk inscription with cartouche of Akhenaten. Below is part of a figure of a Princess, who is facing left. The figure is done in sunk relief. From el-Amarna, 1934-5, No. 69; Gift of Egypt Exploration Society through Mrs. Gaston Smith & Group.